"River Crest Shilohs ~ Strong ~ Healthy ~ Loving ~ Intelligent companions. 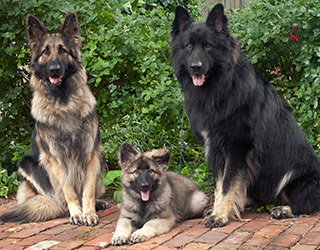 River Crest Shiloh’s is committed to the health, sound temperament and continual improvement of the Shiloh Shepherd Dog. Working with knowledgeable and trusted mentors and having years of experience with this amazing breed, You will be assured of open honest information about our dogs and their pedigrees. Located in Paducah, Kentucky we are always available to answer questions regarding this amazing breed."